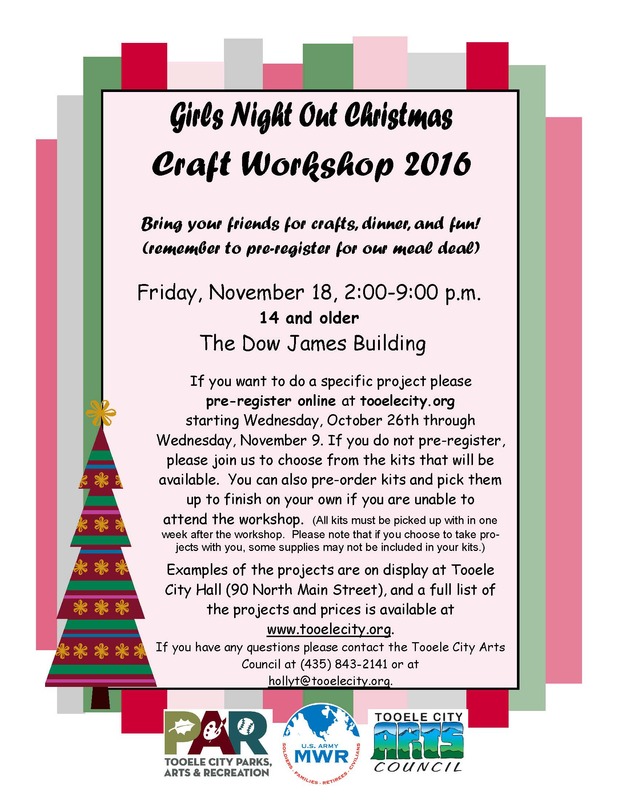 Bring your friends for crafts, dinner and fun at the Girls Night Out Christmas Craft Workshop! 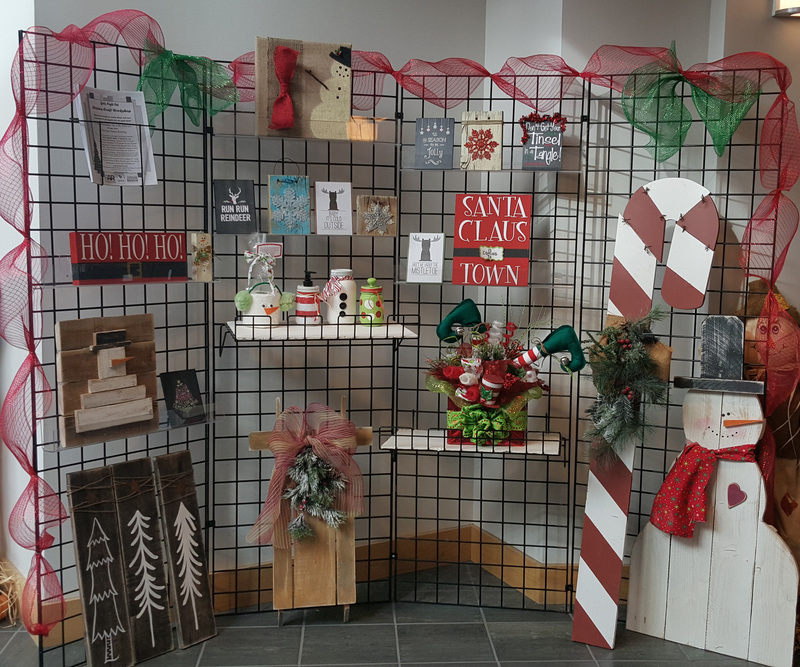 Join the Tooele City Arts Council for the Christmas and Winter Craft Workshop on November 18th from 2:00 p.m. – 9:00 p.m. at the Dow James Building. For those ages 14 and older. or pre-register at Tooele City Hall (90 North Main Street, Tooele) by Wednesday, November 9, 2016 at 4:00 p.m. Examples of the projects are on display at Tooele City Hall (90 North Main Street). Note that projects will vary from the samples.